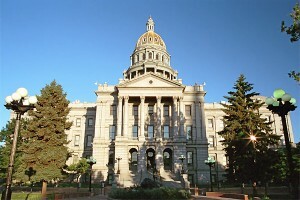 Another issue, another 15 minutes of fame for Colorado due to the state’s far left radical agenda by State Democrats. This time, it’s over the new voter laws that just passed (without a single Republican vote) in Colorado. This morning, the National Journal offered a grim overview of how Democrats are skewing the rules to benefit their side. While the bill’s proponents claim it would increase voter participation, it’s worth noting that Colorado has the third-highest voter turnout in the nation. But, the National Journal hasn’t been the only publication to criticize the way Democrats have shoved this bill through the legislature. Even the Denver Post, which has been no friend to Republicans, questioned the bill’s aggressive nature. Today’s passage of the far left’s voter registration bills is just another page from the Democrats’ radical playbook. It takes 6 months to be a citizen of Colorado to get hunting and fishing License, It takes 30 days to be a citizen of Colorado to buy a gun , and now it take the same day to come to Colorado and vote. "I'm not upset that Democrats lied to me, I'm upset that from now on I can't believe Democrats". They just legislatively approved fraud. It's lost. Everything you need too know about the Dems you learned in Kindergarten; bullies are insecure and self-loathing, bullies change the rules to always have the edge, bullies can't handle a fair fight, bullies distract from real issues because the don't want real solutions, bullies run to their mommies when you stand up to them. Since the AP has declared the use of "illegal immigrant" a taboo word for journalists, we in Colorado have adopted the more descriptive and Politically Correct term of "undocumented Democrat". Only one way the dems win in the next election cycle here in Colorado, and that is by massive fraud. The people of Colorado are ready to run them all out on a rail. Dem legislators are completely ignoring the wishes of their constituants. They are buying votes and most likely the ballots will be written in Spanish only. O's approval on Rasmussen this morning was 47. This violent revolution is unpopular.